Welcome to K-Roll. Serving great Korean food fast. K-Roll is a chain of Korean restaurants specializing in tasty Korean-style rice rolls and other popular Korean fare such as bibimbap, japchae, dukbokki and ramen. K-Roll was founded by three stylish Korean ladies who are long-time Hong Kong residents. They love to serve food that is healthy, fresh and delicious in a clean, attractive and comfortable environment. 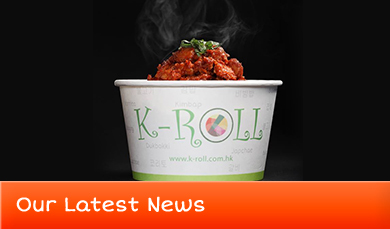 For the busy Hong Kongers on the go, K-Roll’s food is served fast and is easily portable. Sheung Wan shop offers dine-in, take-out and delivery service. Our Central shop, in the Hong Kong MTR Station of Disney/Tung Chung Line, and Kowloon shop, in the Kowloon MTR Station (Airport Express Level - disembarking side- near McDonald's) downstairs from Elements and next to ICC, are take-out only. We have an eclectic mix of customers from all over the world, in addition to Hong Kongers and Koreans. We also cater to corporate and individual clients for functions, meetings and parties. 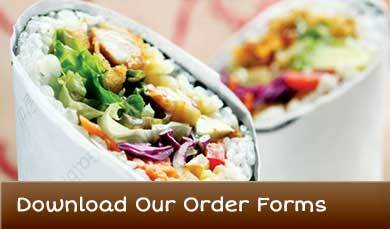 Visit a K-Roll restaurant and experience contemporary Korean fast casual dining at its best! You can also visit our pages in Facebook for more fun.